So the object I’ve been working on the last couple of days is the guilt object. 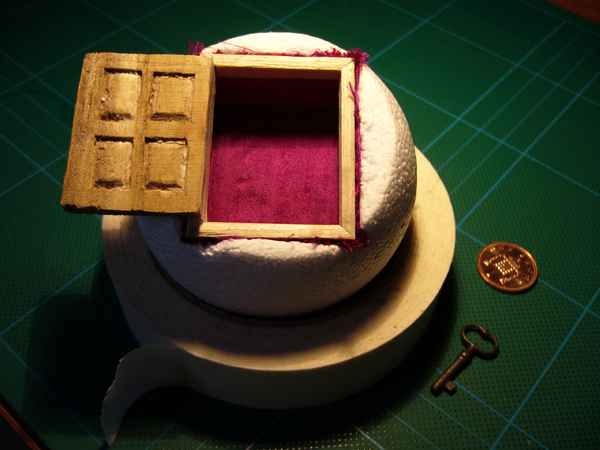 I thought ‘door’ Lots of guilty secrets behind doors. I feel guilt about trashing the box, which our friends Stewart & Sarah gave us and who suggest I paint it up all arty….about 6 years ago. I feel guilt for not painting it and guilt for smashing it up (although it is now fulfilling it’s artistic destiny!). I feel guilt about what we used to keep in it and guilt about wasting my life on that. I feel guilt that I never asked my other half if it was alright to smash up the box. 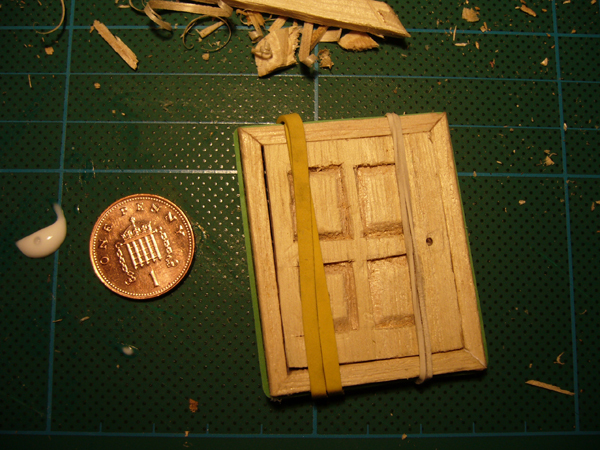 I made a tiny little door out of the balsa wood box. 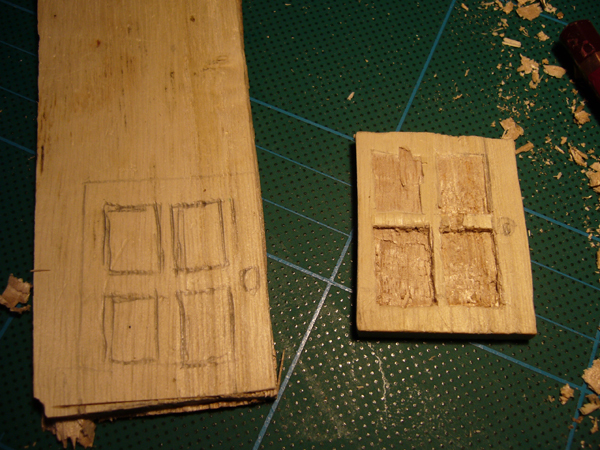 I carved out the panels both sides and used a yellow plastic pin as a door handle. I embedded the metal of the pin in the wood on the other side. 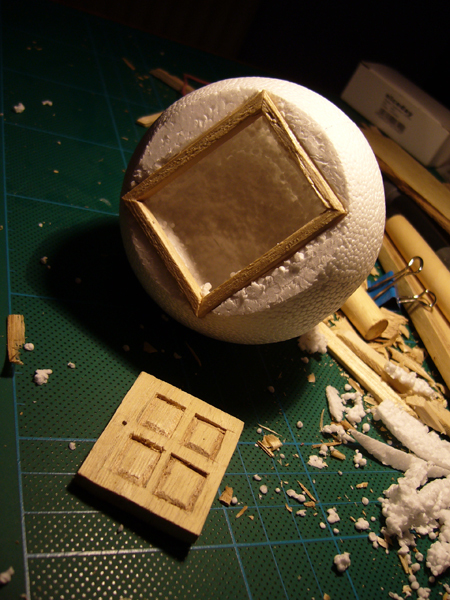 I made a frame out of four bits of wood which I mitred and glued together with wood glue. 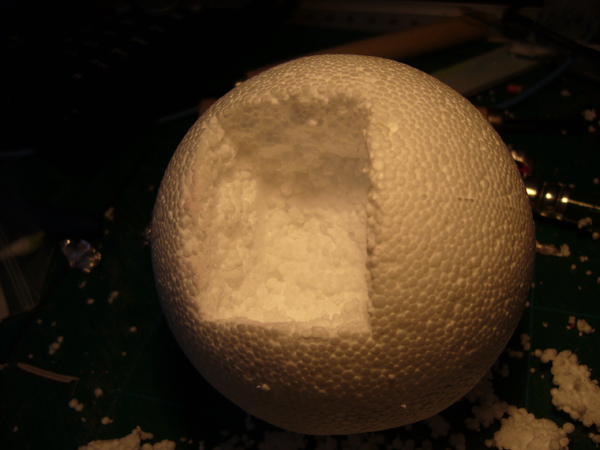 Next I took a polystyrene ball and carved out a box shape. 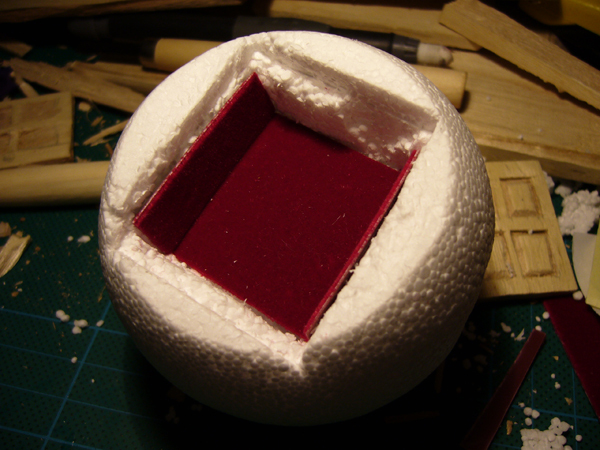 I tried to line the box shape with some old plastic backed velvety box liner I had but it didn’t really fit and I didn’t have enough so I used some fabric instead. 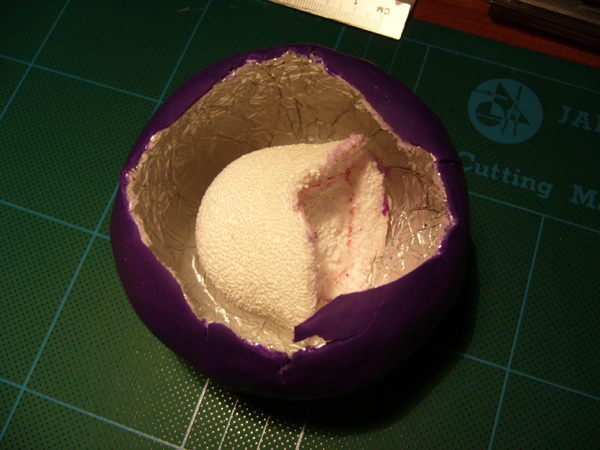 Pic 4 – ball with fabric lining and door held on by masking tape. I hadn’t thought about how to join the door at this point. 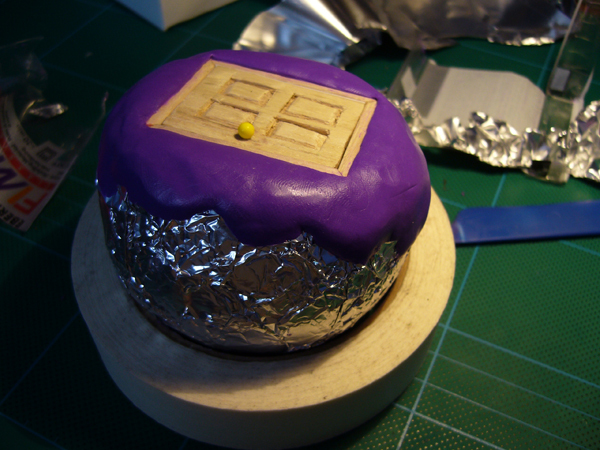 The next thing I did was to cover the polystyrene ball in foil and then purple Fimo. I put it in the oven and disaster! 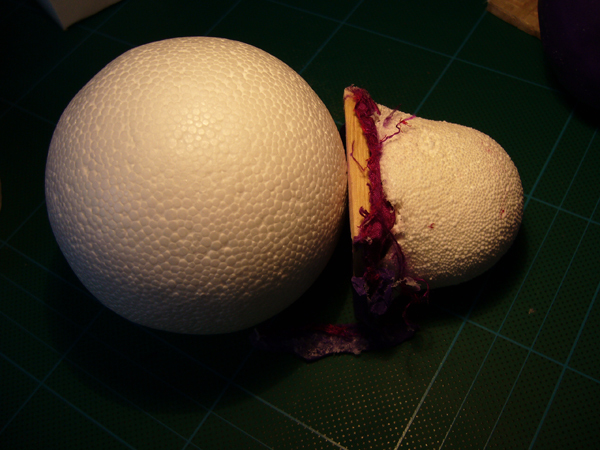 The polystyrene had shrank and I didn’t realise and crushed the object when I picked it up.